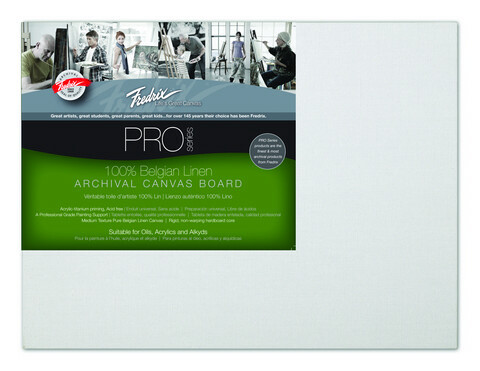 Fredrix Archival Cotton Canvas Board is a professional grade, archival painting surface with medium texture canvas mounted on an acid free board. Good for acrylic, oils and mixed media. 229 points will be rewarded when you are logged in to your account and buy this item.